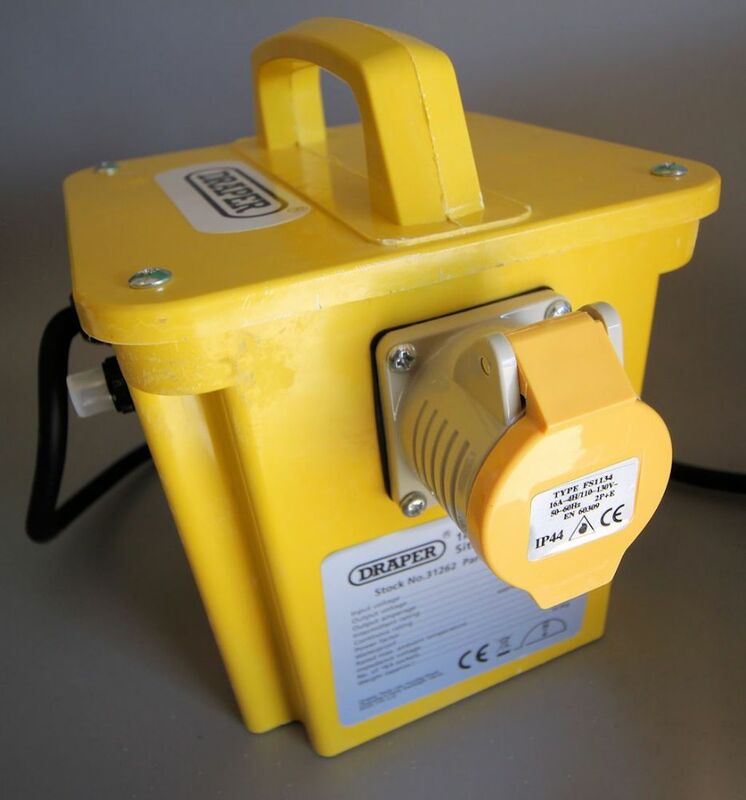 Draper 1KVA portable site transformer converts mains 230v to 115v for use when working on site with twin 16A sockets. Suitable to power all 110v power tools and a must have for all new site work. Remember to check all cables for damage before using power tools.